Pay no attention to that nerd taking notes in the background. Focus on the iron. 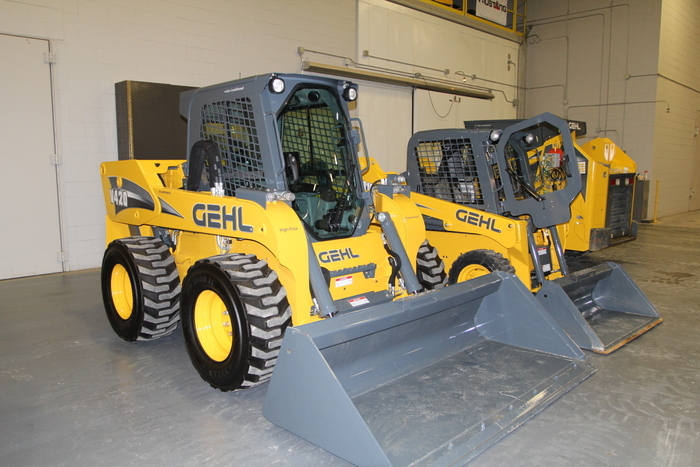 I traveled to the Gehl headquarters in West Bend, Wis., in April to get to know the brand better and operate two wildly different skid steers. 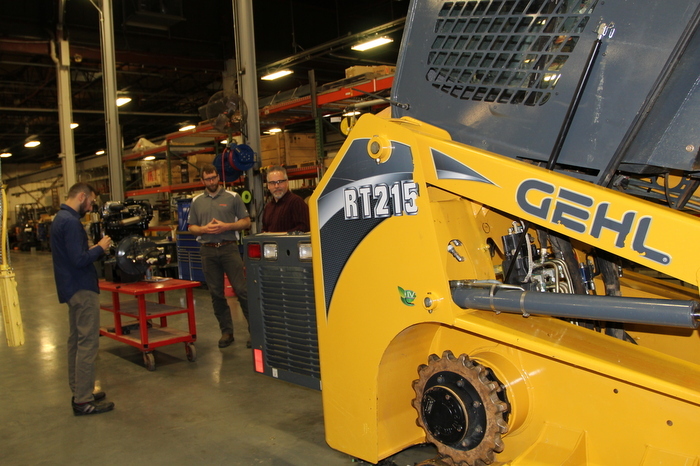 That full scoop awaits in the June issue of Compact Equipment, but in the meantime, enjoy this tour around the facility. Gehl prides itself on its history. The company’s legacy traces back to 1859, only 11 years after Wisconsin became a state, emerging from the basic needs of farmers, settlers and other local fledgling markets. 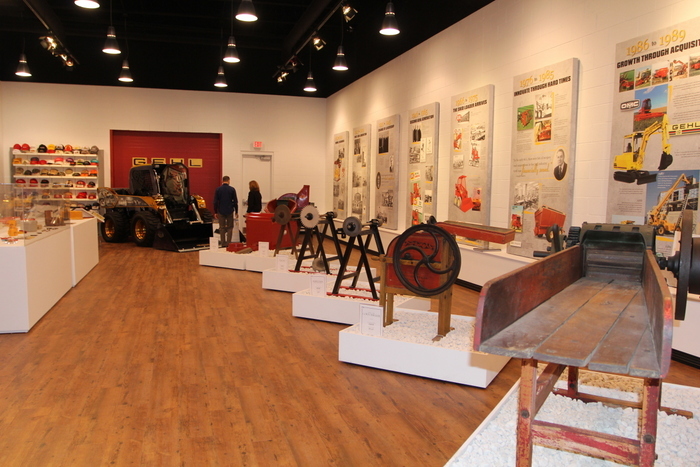 The headquarters sits on the same land of the original company (just a way way bigger part of it), and the museum in the facility shows that evolution from that first day to now, from the rudimentary ag implements to the advanced, cloud connected machines of today. Since it was cold outside, I asked if I could just operate this corn cutter instead. 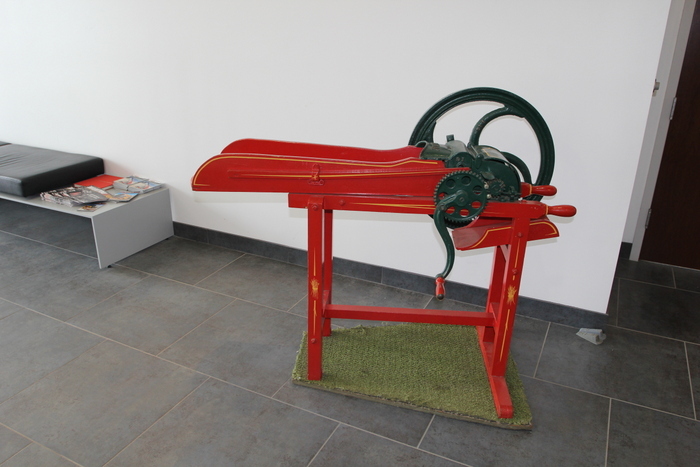 I was told no, on account of this being an original Hexelbank Cutter, the first Gehl machine, created in 1889 (selling for $11.50 at the time). 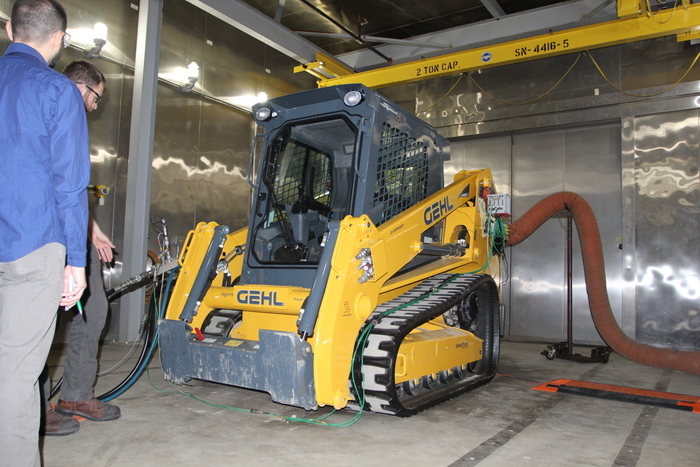 The Gehl engineering process stood for its collaboration and attention to detail. Here the 3D model of the engineering blueprint is constructed into a prototype. At this stage, it’s not unusual for a mechanic to send back notes to the engineering team on placement. Widening the frame for better access to certain areas, etc. The wildest part during the build these days is finding where to place all of the sensors. One of my guides relayed a horror story of needing to find room for 30 temperature sensors in one compact machine. Same obviously goes for the testing stage. All worst case scenarios are thrown at it to see how it responds and if anything needs rethought. 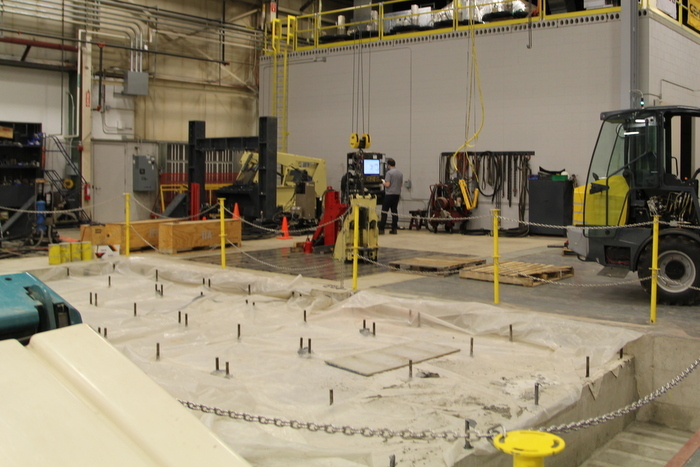 Bed space is being doubled in the testing area for a more efficient workflow. 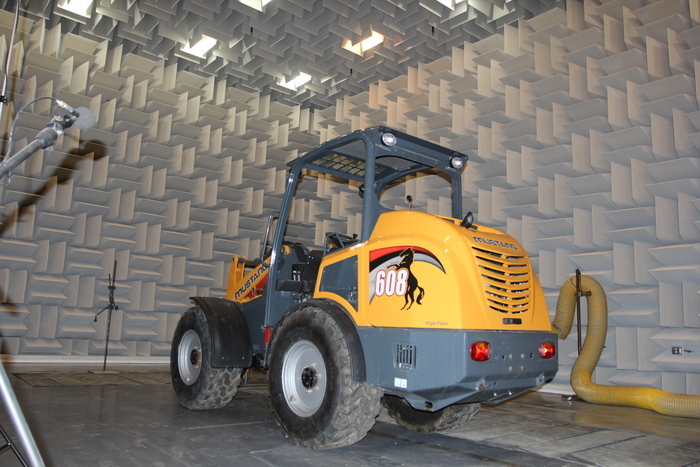 The noise testing room was devoid of all noise. Never been in a room like that before. I’m either in awe or haunted by it. You could meditate in there and find inner peace and then likely go insane, all within 15 minutes. Here are the two lovely ladies I will be taking for a spin. To the left is the largest skid steer in the world, a souped up V420 with new joystick Pilot controls. To the right, after squinting, you’ll see the barebones R105. I assume you can guess which I was more excited to drive — but you won’t know for sure until the June issue of Compact Equipment. 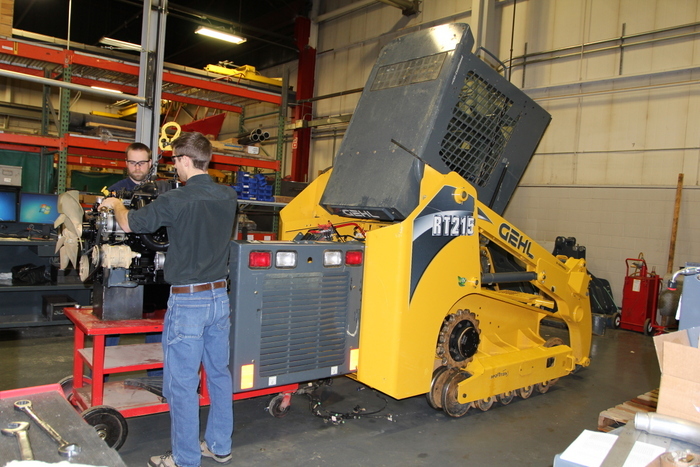 Chris Crowell is a contributing editor to Compact Equipment.